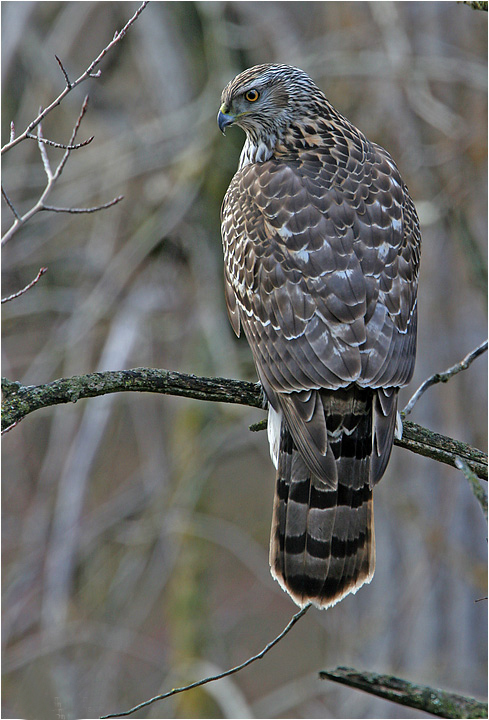 The Northern Goshawk is one of the most fearsome and admired of all birds of prey — and the largest hawk of the northern forest. Since at least medieval times, falconers have regarded the goshawk as a bird of great distinction. Attila the Hun even wore its image on his helmet. The boreal forest is a vital part of the bird’s range. During lean years, when Ruffed Grouse and snowshoe hare populations dip, the scarcity of prey brings Northern Goshawks south. It’s then that we're more likely to see these beautiful and fearsome hunters. Bird sounds provided by The Macaulay Library at the Cornell Lab of Ornithology, Ithaca, New York. 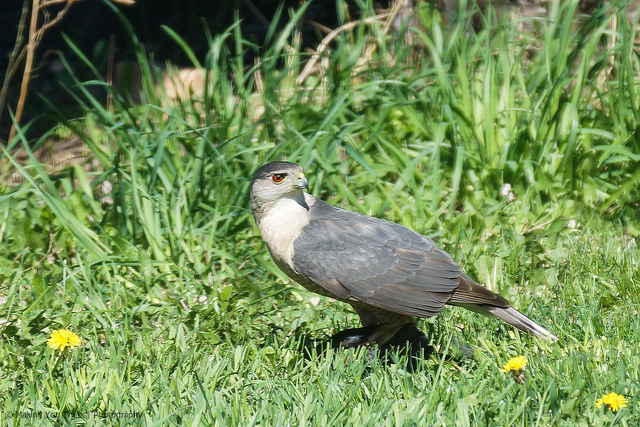 Northern Goshawk  recorded by G.A. Keller; Red Squirrel  recorded by W.W.H. Gunn. Please make a gift to BirdNote today. Thanks! Using recycled paper can protect the boreal forest. More at AudubonMagazine!